The well of learning (can) run deep. The nerve-jangling experience of that first performance in 1980 was near the start of a curious journey that for me has so far has lasted over 35 years. I have not a drop of Irish or Scottish blood in me, but the progressive discovery of the deep well of beauty that is those countries’ traditional music has been a profoundly enriching experience. After a hectic and not uneventful week with our Swiss school-guests, my wife and I forced ourselves up to Islington last evening to see The Gloaming at the Union Chapel. During some of their extended sets, I found myself reflecting on the path that had led me to deep appreciation of such an obscure type of music. This is not the stereotyped folk music of The Pogues or The Dubliners, but a rich and complex seam of culture that requires considerable effort to understand and play at all well. The Gloaming mix Irish traditions with elements of classical music, jazz and the avant-guard; almost unknown outside their genre, these highly-gifted musicians still filled the thousand-seater venue to a standing ovation. Forgive my digression; what has this to do with education? In some deep-seated ways, I feel my discovery of this music has to be linked with my own educational experiences. Not only was it the direct recognition of one teacher that sparked my enjoyment of performing it, but the more subtle mind-training of the education years paved the way for the sometimes-difficult journey into a new culture. Somewhere along the way, a combination of my innate tastes, coupled with the formalised training in thought, knowledge-acquisition and understanding, a fostering of my curiosity, and the mental tenacity required to stick with challenging material must have been instrumental in bringing me to my current level of appreciation. I’m not suggesting for one moment that everyone should get into traditional music. But I think that one of the most valuable legacies of the education process can be the creation of possibilities for everyone to tap their own deep well of life-passions, no matter obscure they turn out to be. It certainly seems that many highly-educated people do take their own particular interests to great lengths, and I suggest that this can do at least as much (I would say far more) to create a ‘life well lived’ as any increase in earning power. I’m not being at all new-age about this: I’m certain the forming of those aptitudes was in part the by-product of formal academic training – but the outcomes were largely unknowable to those who delivered that training in the first place. When I see the narrowed, prescriptive process that modern education has become, I fear for the Death of Passion. In my own subject, Geography, we even have a lesson tick-box for ‘Awe and Wonder’. Yes – even the majesty of the natural world has been reduced to an administrative tick-box, without many colleagues apparently sensing of the irony of it. I see far too many examples of students’ UCAS and other personal statements that are merely clones of the many almost-identical ‘good practice’ templates they are provided with. That to me is a contradiction in terms; the worst are those that say “My school work takes up all my free time”. I’m not arguing for less academic rigour (and by definition it’s only in later in life that this perspective has become clearer to me) – but this strikes me as self-defeating. At 18, I didn’t see the bigger picture either, but I can say with certainty that those journeys such as my musical one which have done most to enrich my life, were already well underway in a way that our texting-obsessed, shopaholic pupils mostly don’t seem to be emulating. This is not only an educational problem: it is a technological, economic and societal one, but there are still a few who buck the trend: a few years ago, I asked a tutee of mine on her last day in school how she would be spending her post-‘A’ Level summer. 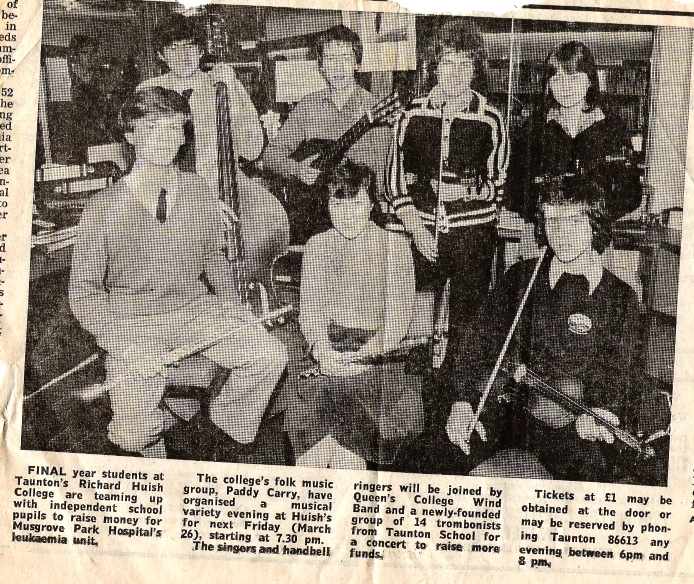 She replied that she would be touring the folk festivals with her melodeon: she had taken up the instrument after seeing a band that I had booked as part of a sixth-form Arts day. Until then I had had no inkling. But for the most part, modern education seems to be limiting the possibilities for young people to take their interests where they will – or at least reinforcing their predisposition not to bother. As I said, this is not a plea for less formal education – that is where some of the inner perseverance was fostered. But in general, by reducing everything to bureaucratic certainties, by cutting the demand for tenacity in response to supposedly-shortened attention-spans – and by ignoring the little bit of Miss Jean Brodie in the role we have to play, we risk also reducing the chances for children to discover their own latent passions. In my view, we are losing something precious. Miss Jean Brodie? The teacher who built up a personality cult around herself? Who attempted to persuade one of her students to sleep with a teacher? Who was sacked for her explicitly supporting fascism in lessons? I think we can ignore that role. Yes I know all of that. I was referring to one particular attribute only, and certainly not condoning those particular outcomes. Nor suggesting that we should deliberately lead pupils astray. But I still think we have a role to play in awakening latent passions, as (unwittingly) did my own teachers. That was Brodie’s aim too, even if she was misguided. Widening the perspectives open to students, not closing them off is important. I’m not convinced it’s our role to sit in judgment over what direction those lives then take. I was toying with another Robin Williams analogy – but that led to equally tragic consequences, of course. I would still rather take the risk of awakening passions than yield to the semi-comatose alternative we seem to be moving towards.